Renowned not only for creative first ascents on towering rock but also his research, Fred Beckey meticulously studied the Cascades, drawing from personal experience and historical documents to produce several volumes on the range revered by climbers today. Fred Beckey defied gravity, social convention and, for as long as he could, even the aging process, in his relentless pursuit to climb peaks in the Northwest and beyond. The grizzled alpinist, who grew up in Seattle, died Monday at age 94, after about eight decades of exploration. Mr. Beckey approached climbing and its documentation with uncommon gusto and near single-mindedness, friends said. He lived much of his life on the road, in pursuit of the next big peak. For much of the 1980s, Mr. Beckey lived in a spare room of his friend and onetime climbing partner, Alex Bertulis. His lifestyle is sometimes said to have spawned a culture of so-called dirtbag climbers, known to traipse across the West in vehicles, with good weather and quality rock as their compass and cheap food as their curse. “He was a climber, he was a scholar, he was a vagabond and a bum,” said Matt Perkins, a climbing partner and friend to Mr. Beckey. Perkins recalled a 2007 trip in which Mr. Beckey, an octogenarian, walked through a supermarket with long hair and a shaggy beard and began stuffing plastic bags of food in his jacket, his rations for the trip. “People were worried — is he shoplifting? — or what’s going on here?” Perkins recalled. Beneath a sometimes gruff demeanor and mangy beard was a kind soul, who relished his time in the mountains and his friends, Perkins said. On that same trip, Mr. Beckey skied in 8 miles with the group, then pushed on further to scout the climbing route with his companions. When they geared up to climb, Mr. Beckey bowed out, hampered by a recently broken rib. “When we got back to camp at 1 o’clock (a.m.), he got up to cook us dinner. He was excited and wanted to take care of us,” Perkins said. Mr. Beckey never liked the “dirtbag” term, said Megan Bond, a longtime friend whom Mr. Beckey lived with during his last months. Mr. Beckey got his start in the mountains as a Boy Scout in the 1930s. 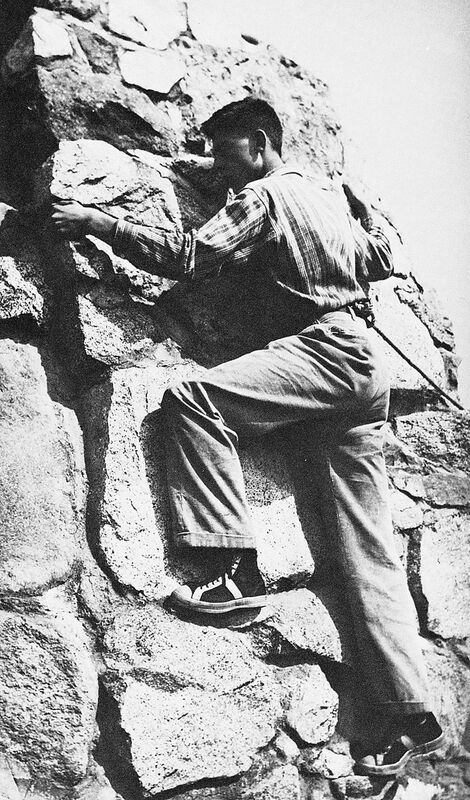 Lloyd Anderson, who would go on to co-found Recreational Equipment Inc. (REI), taught him how to climb. “He was very crazy about climbing, and so was I. I was his steady partner,” said brother Helmy Beckey, now 92 and a former opera singer living near Munich, Germany. In 1942, Mr. Beckey and Helmy, then 19 and 17 respectively, stunned the world by ascending the forbidding and remote Mount Waddington, the highest peak in British Columbia’s Coast range. It was just the second time it had been climbed, and it’s a feat only rarely repeated. “On the descent, I got hit by a falling rock that severed a vein, and it was quite a harrowing experience to get back on level ground,” he said. During World War II, Mr. Beckey served in the Army’s mountain division and then attended the University of Washington. Climbing soon consumed most of his attention. “When you start to get into the more interesting and remote and technical peaks in the North Cascades, many of them were completely untouched until Fred came along,” said Lowell Skoog, who has chronicled Northwest mountaineering history. In 1949, Mr. Beckey published “Climber’s Guide to the Cascade and Olympic Mountains,” his first of many books. Five years later, in the summer of 1954, Mr. Beckey summited Mount McKinley (now known as Denali), and then completed first ascents of two formidable Alaskan peaks nearby. “If McKinley is the king, (Mount) Hunter and (Mount) Deborah are the attendants … People call that the triple crown of North America,” Skoog said. Stung when he was left off the first successful American ascent of Mount Everest in 1963, Beckey approached climbs less like expeditions and more like small, lightweight stealth missions, evading poor weather. “He was ahead of his time. He was an alpine climber going with less resources,” said Conrad Anker, a climber known for challenging ascents in the Himalayas. Later in life, as his physical abilities waned, Mr. Beckey relied on a cadre of younger climbers. He brought decades of knowledge and a tack-sharp memory. They offered fresh muscles. Even sapped of some strength, he was able to move beautifully on the rock. Mr. Beckey’s mind remained sharp, Bond said. 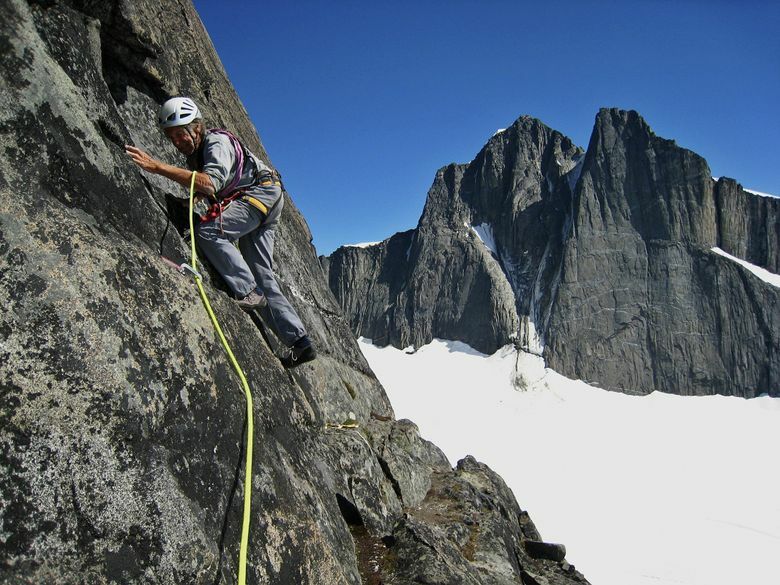 Even in his last years, Mr. Beckey traveled and took climbing trips to British Columbia. Two years ago, on a trip in Europe with his brother, Mr. Beckey wanted to do something every day, and to visit a new interesting place. On recent road trips, Bond remembers discussions about history, or philosophy and the arc of time. Sometimes, Mr. Beckey would sing. Bond said a private interment is planned for this weekend at Icicle Canyon near Leavenworth, one of Mr. Beckey’s favorite climbing areas. A public celebration of his life will be held at The Mountaineers Seattle clubhouse, but a date has not been set.